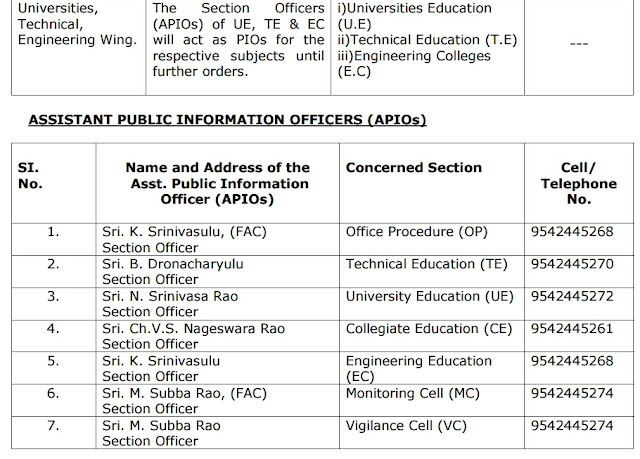 Home» Ap new gos | AP RTI ACT 2005 NEWS » AP RTI ACT-2015 Appointment of Assistant Public Information Officers/Public Information Officers/Appellate Authorities in Higher Education Department as per G.O.NO:113. 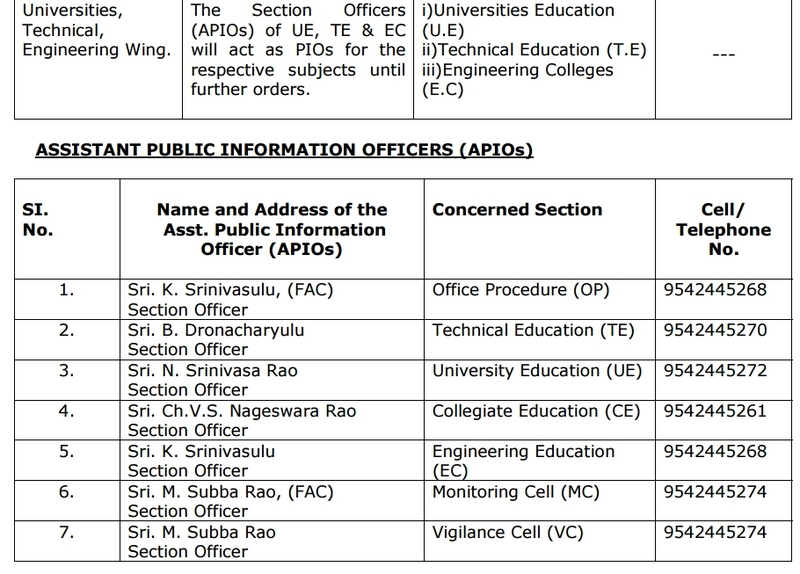 AP RTI ACT-2015 Appointment of Assistant Public Information Officers/Public Information Officers/Appellate Authorities in Higher Education Department as per G.O.NO:113. 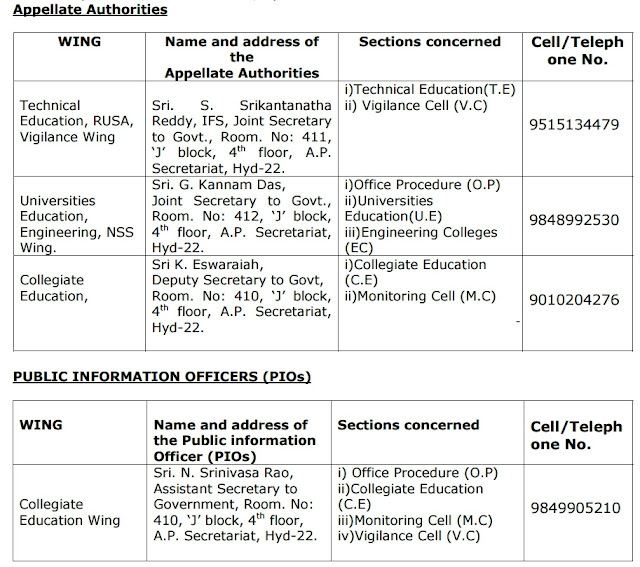 Andhra Pradesh Implementation of Right to Information Act-2005 in Higher Education Department Appointment of Assistant Public Information Officers, Public Information Officers and Appellate Authorities as per G.O.NO:113 , AP Andhra Pradesh Implementation of Right to Information Act-2005 Appointment of Assistant Public Information Officers, Public Information Officers and Appellate Authorities for different wings of Higher Education Department as per G.O.NO:113 , AP G.O.NO:113 Appointment of Assistant Public Information Officers, Public Information Officers and Appellate Authorities for different wings of Higher Education Department under RTI Act-2005. Pradesh - Orders – Issued. G.O.Rt.No.01, Higher Education (OP) Department, Dated 01-01-2016. G.O.Rt.No.53, Higher Education (OP) Department, Dated 20-02-2016. G.O.Rt.No.88, Higher Education (OP) Department, Dated 26-03-2016. 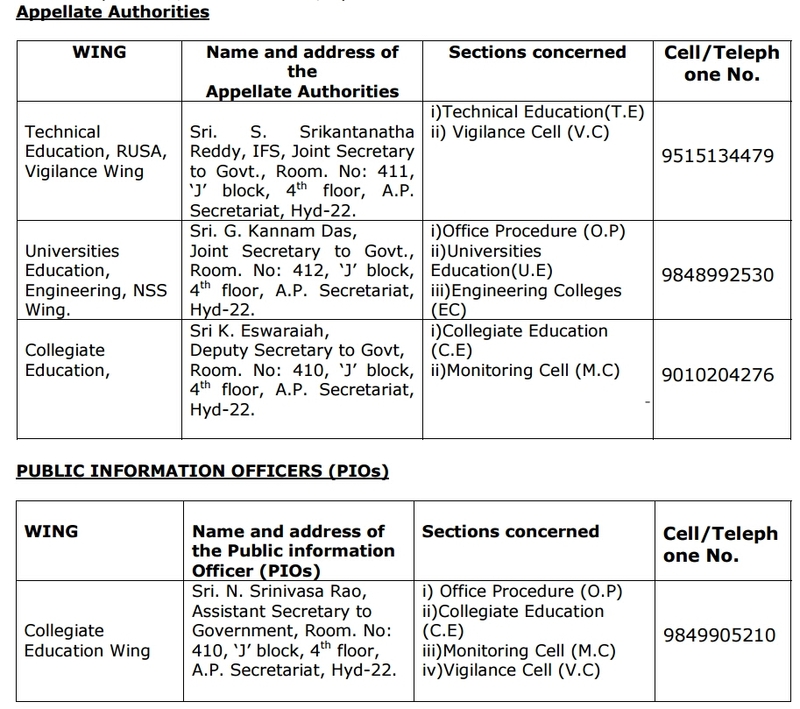 G.O.Rt.No.104, Higher Education (MC) Department, Dated 05-05-2016.
maintain RTI Register-I & II as applicable to them at their level also without depending on MC-Section alone for producing, the same before the State Information Commission as and when required to do so. 3.These orders shall come into force with immediate effect.